The call comes as the EPA today issues its 2013 Drinking Water Report, which found that 99.8% of samples from public drinking supplies taken in 2013 complied with microbiological limits and 99.5% of samples complied with chemical limits set for water. However, Gerard O’Leary, director of EPA’s office of environmental enforcement, said that the high compliance rate in public supplies “masks the specific and serious problems occurring in some supplies and the significant risk of future problems”. Among the 121 “at risk” water supplies which were put in the EPA’s remedial action list are the Vartry-Ballymore Eustace supply in Dublin, which serves about 130,000 people, and Cork City’s supply, which provides water to 123,000. Both are cited as having “treatment and management issues”. In all, the 121 supplies on the EPA’s list service 940,000 people. One potential problem the EPA raised is the lowered accepted levels of lead in drinking water. The new standard came in at the end of 2013, and while only 11 samples taken in 2013 exceeded the old limit, over four times as many of these samples would have failed the new lead standard. The report says a national strategy is necessary to achieve compliance with the lead standard, which would involve removing existing lead pipes. 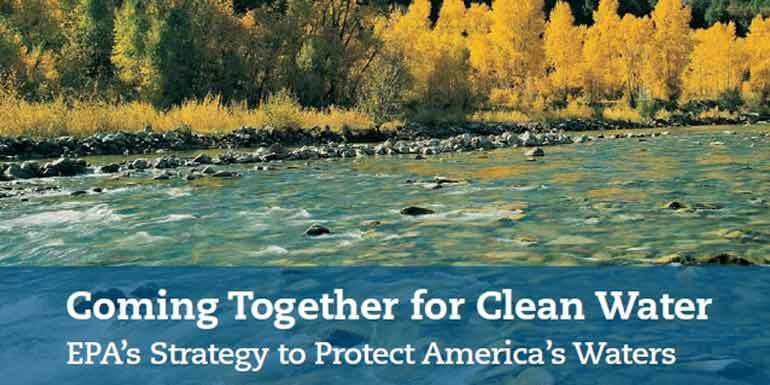 “The underlying causes of problems need to be addressed with improvements in disinfection systems, removal of lead pipes, improvements in water treatment management, and by putting in place appropriate infrastructure to prevent future long-term water restrictions,” said David Flynn, programme manager of the EPA’s office of environmental enforcement. In 2013, the EPA also detected e.coli at least once on 63 small private supplies, 32 private group water schemes, and one public group water scheme in 2013. However, 97.53% of the samples from these supplies complied with microbiological parameters, while 99.57% of samples complied with chemical parameters. Water supplies in Roscommon are particularly vulnerable to cryptosporidium, the report found, noting that boil notices affected 21,151 people in the county in December 2014. Over 90% of people on a boil notice in Ireland live in Co Roscommon. The number of boil water notices and water restriction notices issued in 2013 was an increase on 2012. During 2013, there were 57 boil water notices and 12 water restriction notices active in 16 counties, affecting over 35,831 people. By comparison, in 2012 suppliers issued 42 boil water notices and water restrictions affecting around 50,000 consumers. The EPA also advises the implementation of a water safety plan for each supply. The plan provides a preventive management framework for safe drinking water that is in contrast to what the report’s authors described as the “under-investment and reactive management approach to water quality problems” currently seen in the supply network.